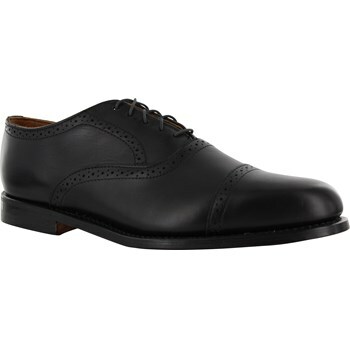 The FootJoy FJ Dress Cap Toe casual shoes are perfect for a business meeting or casual wear to the golf course. The FJ Dress Split Toe feature superior craftsmanship with a premium full grain leather construction, detailed stitch styling and leather outsole for incredible comfort and superior durability. These shoes provide elegant style and your feet will feel great, whether at the office or on the way to the golf course.